Our trained and experienced electricians understand your unique needs and we can offer you a full range of interior and exterior lighting options and electrical installation services. Whether it is simply replacing a existing light fixture, a custom lighting layout or a outdoor security lighting system, or a generator transfer switch, we have the necessary tools, knowledge and experience to deal with all you Electrical needs. We are your custom lighting specialists. If you want to add some ambience to a room. We can install a custom lighting design and dimmer switches allowing you to set just the right amount of light for a dinner party or when turned all the way up, enough light for reading your favorite book. We can work with you to provide you the lighting design you always wanted at an affordable price. Outlets get old and fail from repeated use. As a result, when plugs fit loosely into receptacles, especially the two-prong ungrounded type, they may slip partially or completely out of the receptacle with only slight movement of the attached cord. Receptacles in this condition may overheat and pose a serious fire hazard or worse yet you could accidentally grab the prongs when unplugging the apparatus from the outlet and get hurt; if covered by a curtain or drape, the fire hazard is even greater. Home owners should have qualified person replace deteriorated and damaged receptacles and, at the same time, inspect the home electrical system, make sure outlets are the polarized type if two pronged, or are properly grounded if they are the three pronged receptacles, Home owners should have their electric service checked for overloading and upgrade their home electrical system to present safety standards. Remember the National Electrical Code are only minimum safety standards. Here are few important questions to ask yourself about your electrical service in your home. Is the switch in the on position but the light doesn’t come on? Does the fuse in your house continually blow or breaker in your electrical service panel continually trip? Are all of the damp areas in your home (kitchen sink, bathrooms, garage, outdoor outlets and basement outlet) protected with Ground Fault Circuit Interrupter or GFCI outlets? Are your bedroom circuits protected by the most modern fire prevention circuit breakers like Arc Fault Circuit Interrupters or AFCIs? You may need a licensed electrician to make the necessary repairs. We at Cary Electric Company have been in Business for over 30 years and are trained on the latest code changes, ready, willing and able to provide you with the most comprehensive service. Electrical Panels and Wiring - We specialize in "Remodeling Older Homes"
Your electrical service panel should be upgraded to meet the demands of modern home appliances. Older homes were not designed with the future in mind. Today we use, curling irons, blow dryers in every bathroom, deep freezers, microwave and toaster ovens in our kitchens, hot tubs and central air conditioning. Regardless of the age of your home, at a certain point, your electrical service panel can be at its maximum use (all circuit breaker slots filled up) they can break down due to fatigue in material, or your demand can be more than the electrical service can support. You might want to add one more circuit to power a new appliance, device or you may want to build that long needed extra room and the only thing to do is upgrade to a larger size and higher capacity electric service panel box. We are experts in "OLD" house wiring and electrical improvements. Cary Electric knows that as a family grows, so does the needs of their homes. We are trained and experienced in all kinds of home electrical improvements, all our work satisfies the National Electrical Code (NEC) and Local Codes, We pride ourselves for not taking any shortcuts. Finished basements, family rooms or additional bedrooms can be a valuable asset to your property. Finishing your basement or expanding the size of your home can increases the value of your home and allows for available living space. 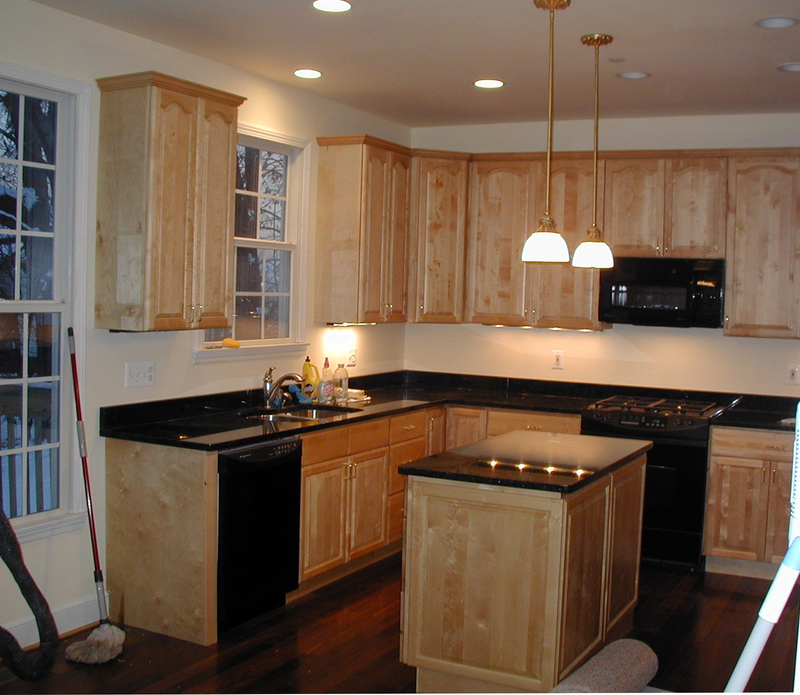 Cary Electrical Company can help improve your home project by providing a wide range of electrical design ideas. Cary Electric Company is licensed and insured family owned business and is fully equipped to provide you a complete custom wiring solution to meet your exact projects need.